As I took a seat next to 20 others in a circle around a morning fire on a sunny Saturday last month, a cup of nettle tea was handed to me as introductions and the circle talk began. 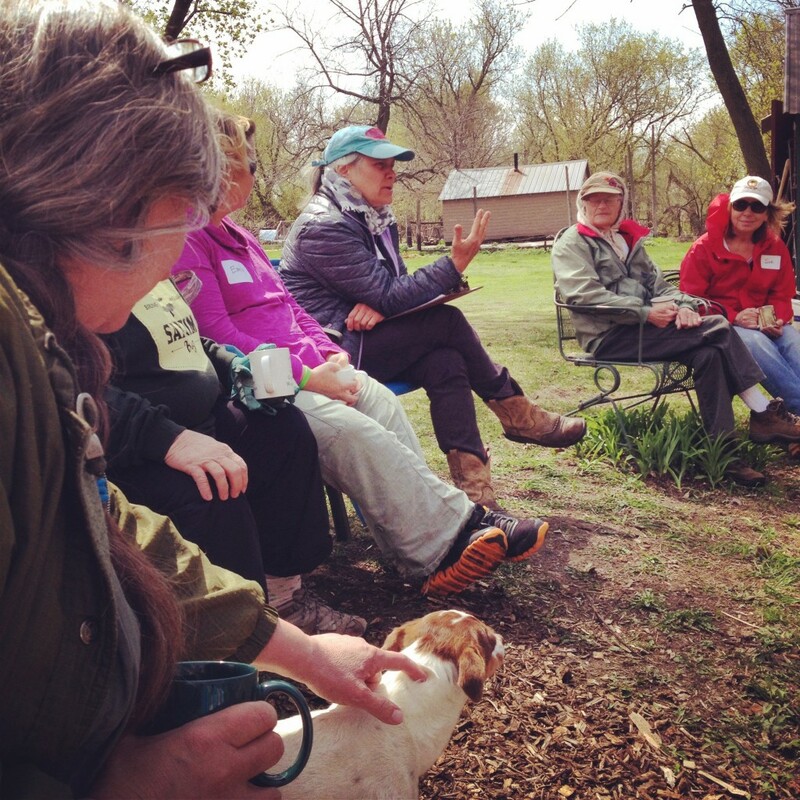 Audrey Arner of Moonstone Farm began discussing the history and importance of wild foods. 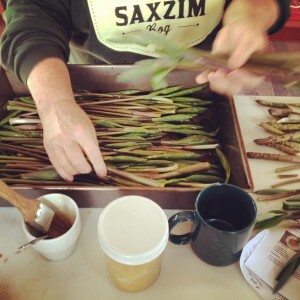 She started a wild foods workshop, Grasp the Nettle, several years ago to share her knowledge of wild foods foraging with others and in return, learn more from the people who attend her workshops. 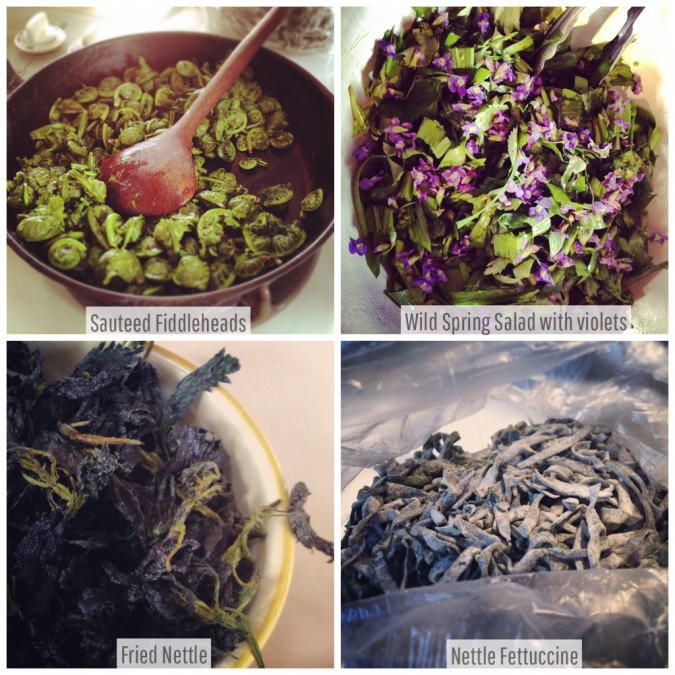 Why learn about foraging wild foods? Well for me, it’s about my ongoing battle with my yard. I live in a city where lawns are expected to be grass, and only grass. However, my lawn is made up of little or no grass, just weeds such as dandelions, plantains, creeping charlie and violets, just to name a few. In an effort to appreciate these so-called “weeds” in my small yard, I decided that maybe this workshop would help me see the light and focus more on their benefits. Wild food is a bit of a no-brainer when it comes to how beneficial it is to your health, and it makes sense considering this method of food gathering has only recently been lost from the generations before us, before the “convenience” of the grocery store and food manufacturing and production. For thousands of years, edible weeds, flowers and wild herbs were foraged and used as food (as well as medications); and they provided all the vitamins, minerals and other nutrients required for the human body to maintain good health. Basically, foraging for food used to be the way to survive. After the circle talk, we walked as a group with Audrey leading the way around Moonstone to identify species of plants that are safe to eat and to learn the methods of harvesting each species. As we walked up to a hillside full of day lilies, Audrey explained to us how every part of the day lily is edible including its roots, leaves and flowers. I heard a lot of “what? I can eat my day lilies? !” including from myself. Other species we identified were ramps, plantains, creeping charlie, cattail and of course, nettle, just to name a few. dandelion fritters and elderberry cornbread with this spring’s maple syrup. Each team learned how to cook the menu item they were responsible for with the freshly picked foraged ingredients they had collected. Then, for the best part, we all sat around the food to marvel at how beautiful the dishes turned out and to eat together. There is no better way to learn about the beneficial elements of the edible weeds and/or plants that are in your yard than to experience them first-hand using all of your senses along with someone who knows what they are talking about. It does take some practice to be able to identify edible species correctly, so do not randomly taste unidentified wild foods unless you are sure they are edible. So don’t get me wrong, I will still be slaving away this summer at the mercy of my weeds, but this time, I’m not going to worry about them too much. I’m going to appreciate the beauty and benefits each of them bring to my yard. Also, if we ever find ourselves in the midst of a horrible food crisis, I’ll have my abundance of dandelions to munch on and maybe I’ll even share. Grasp the Nettle is an annual event that happens in the spring. For $40 per person, you can enjoy fresh tea on arrival, a circle discussion on wild foods, an opportunity to experience foraging for wild foods, valuable local foods knowledge from people who know what they are talking about, how to identify, harvest and cook wild foods, and an unforgettable carbon neutral lunch prepared and served by the participants. 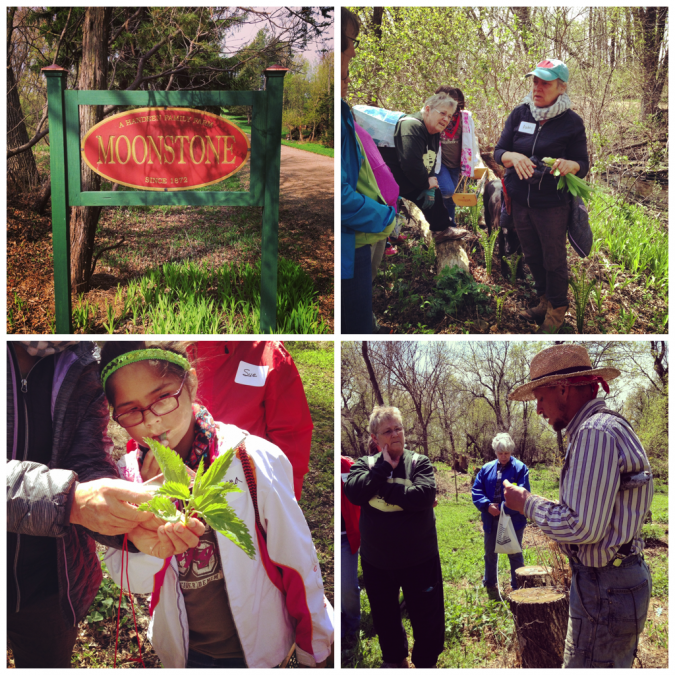 To look for an announcement of next spring’s workshop, follow Moonstone Farm on Facebook. 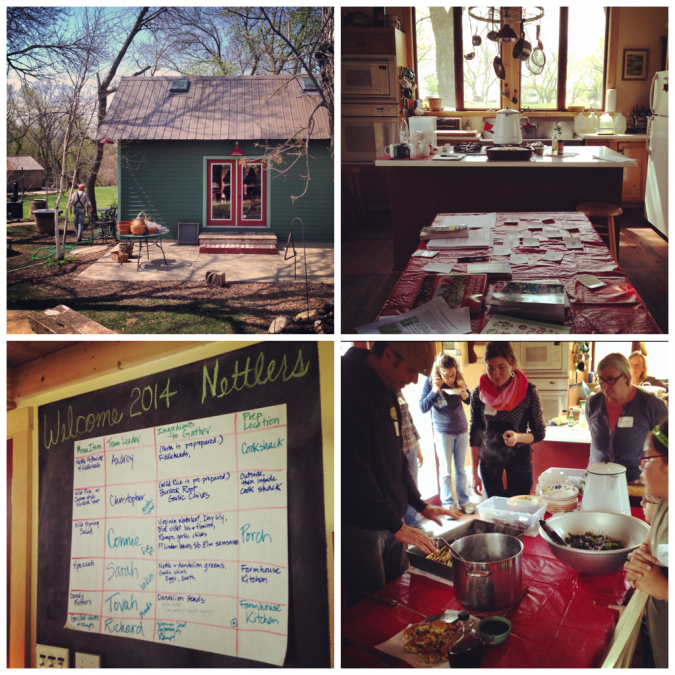 Post and photos by Sarina Otaibi, Director of Communications & Engagement.